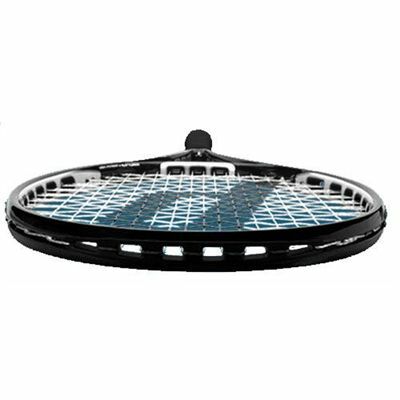 The Prince 03 Speedport Black Team MP Tennis Racket features Speedport Tuning System (STS) which allows players to match the sound and feel of the racket to their playing style and preference. Laboratory testing has proven that Speedports strengthen and stabilise the frame for up to a 59% bigger sweet spot, creating a sweetzone. In addition, wind tunnel testing has proved that O3 Speedport rackets move through the air up to 24% quicker than traditional rackets. for submitting product review about Prince 03 Speedport Black Team MP Tennis Racket.